Each $69 box contains 24 packs. Each pack contains 5 cards. 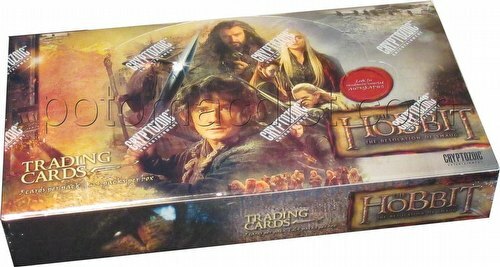 The Hobbit: The Desolation of Smaug trading card set captures all of the wonder of Middle Earth in a new base set, as well as multiple chase sets including character biographies, posters, collages, and more. Autograph and one-of-a-kind Fine Art cards are also randomly inserted in packs of this gorgeous new collectible set. The base set includes 72 cards.